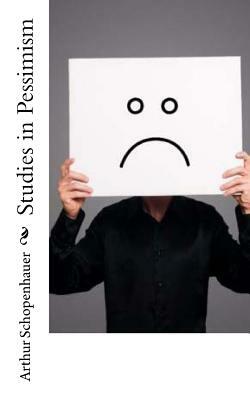 Studies in Pessimism by Arthur Schopenhauer (Author), T. Bailey Saunders (Translator) Translated By T. Bailey Saunders The Essays here presented form a further selection from Schopenhauer's Parerga, brought together under a title which is not to be found in the original, and does not claim to apply to every chapter in the volume. The first essay is, in the main, a rendering of the philosopher's remarks under the heading of Nachtrage zur Lehre vom Leiden der Welt, together with certain parts of another section entitled Nachtrage zur Lehre von der Bejahung und Verneinung des Willens zum Leben. Such omissions as I have made are directed chiefly by the desire to avoid repeating arguments already familiar to readers of the other volumes in this series. The Dialogue on Immortality sums up views expressed at length in the philosopher's chief work, and treated again in the Parerga. The Psychological Observations in this and the previous volume practically exhaust the chapter of the original which bears this title. The essay on Women must not be taken in jest. It expresses Schopenhauer's serious convictions; and, as a penetrating observer of the faults of humanity, he may be allowed a hearing on a question which is just now receiving a good deal of attention among us. We are delighted to publish this classic book as part of our extensive Classic Library collection. Many of the books in our collection have been out of print for decades, and therefore have not been accessible to the general public. The aim of our publishing program is to facilitate rapid access to this vast reservoir of literature, and our view is that this is a significant literary work, which deserves to be brought back into print after many decades. The contents of the vast majority of titles in the Classic Library have been scanned from the original works. To ensure a high quality product, each title has been meticulously hand curated by our staff. Our philosophy has been guided by a desire to provide the reader with a book that is as close as possible to ownership of the original work. We hope that you will enjoy this wonderful classic work, and that for you it becomes an enriching experience.